Marlon 350E Akiles [email protected] combo!!!! The Marlon 350E is an electric double headed spiral coil crimping tool that is designed to increase your plastic spiral binding production. This operator friendly machine is capable of 50 cycles per minute, and features a coil waste chute that uses standard plastic grocery bags for clipping waste containment. 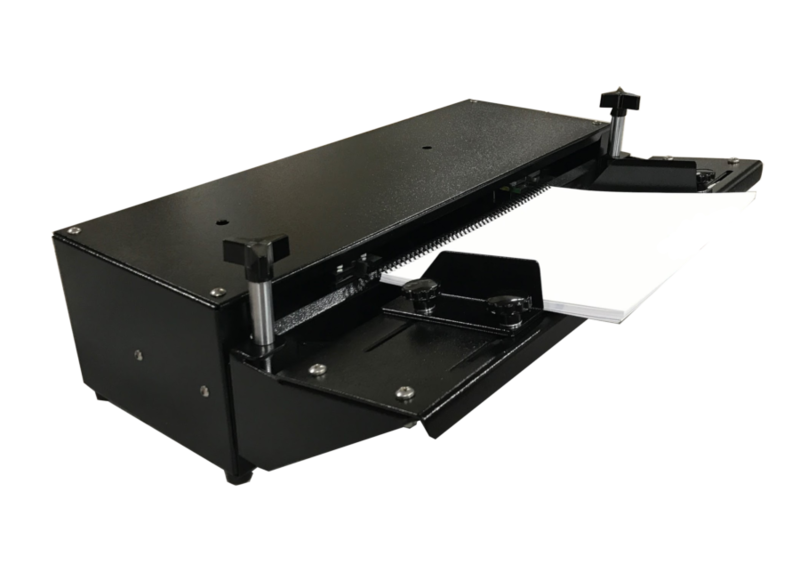 The Marlon 350E is an inexpensive yet extremely versatile tabletop machine that cuts and crimps 6mm through 50mm coil, with an adjustable binding length from 3.5″ to 14″. The 350-E comes with 3 interchangable cutter blades; A size – 6mm to 7mm, B size – 8mm to 25mm, C size – 12mm to 50mm with a long tail. The machine is shipped with the B size cutter blades installed. With Akiles [email protected] you save time, reduce costs and make less effort, as it makes coil inserting surprisingly fast, effective and easy. Ideal for businesses that demand professionalism and productivity. And a must for all binding centers with large workloads.